Have you ever wanted to play in an RPG, but the rules just seem to keep getting in the way of letting you build the characters you want and telling the stories you want to tell? That's what Might & Mystic looks to solve, as well as be accessible to new players. It's a new fantasy RPG that's up on Kickstarter now. MIGHT & MYSTIC was born out of an idea to bring the NARRATIVE forward within a traditional role-playing game. The creators also wanted to make the game easy to setup and learn for players of all ages and experience levels. The MIGHT & MYSTIC system is based upon a "fast-play" system utilizing standard six-sided dice. 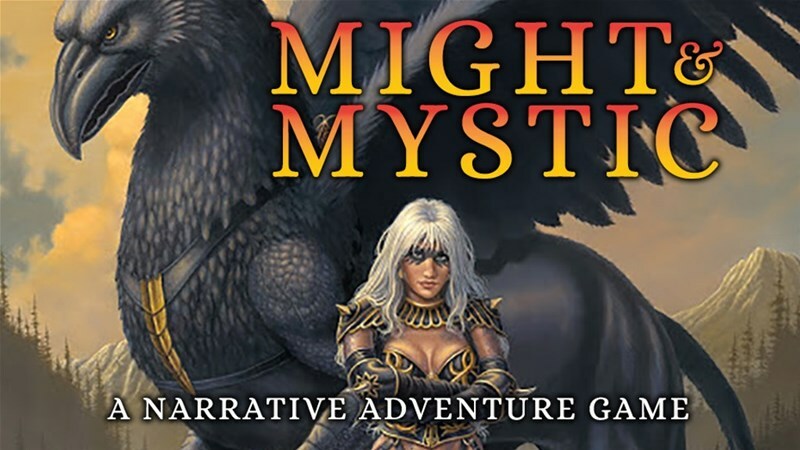 The creators of MIGHT & MYSTIC have created an adventure game that will allow fans to create their own narratives and play within the many imaginative settings of Cathal Entertainment and its creative partners. Cathal Entertainment has also created a new fantasy world that will be the core setting for MIGHT & MYSTIC. This amazing world has been in development for over three years. The campaign is just up and over its funding goal with still 39 days to go.